If you find any of these symptoms, I encourage you to set up an appointment with your holistic health practitioner! 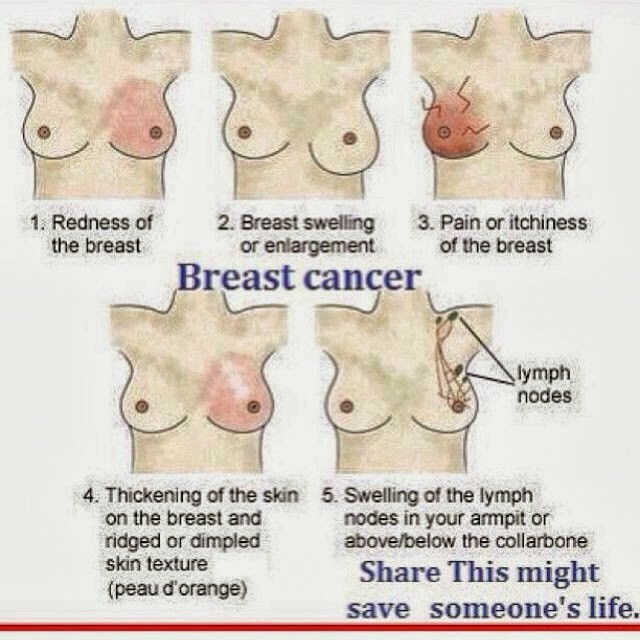 You don't have to lose one or both breasts to cancer! There are natural methods for a cure that don't include drastic, harmful side effects! What it does include is you taking personal responsiblity for your health and making lifestyle changes to compensate and allow the body to heal itself. If you do not have a holistic health practioner in your area, I am just 2.5 hours North of Denver, CO. I would be happy to help you. Call 308-254-5373 for an appointment.